OK...You ask? What the heck is Chartreuse? Sounds like a vegetable to me. Actually Chartreuse is a color that runs between yellow and green. It was introduced in 1764 after the French created a liqueur called green chartreuse. The term "chartreuse" was first used to refer to "apple-green" in 1884. 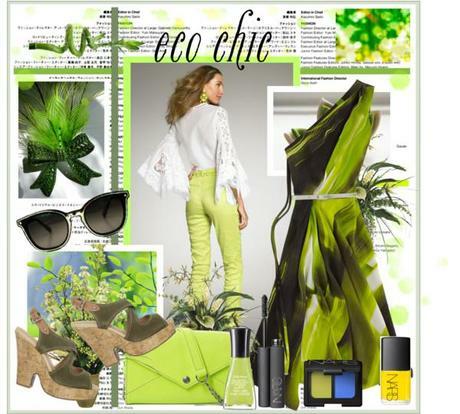 Now jumping to today, Chartreuse is being used in clothing lines to create a stunning color POP. Fashion brands love to create a color POP with this outrageous color from fitted blazers, dresses that have both the color of yellow and green, heels, and trendy little chiffon skirts. Clothing brands like John Lewis, Oscar De la Renta, Organic by John Patrick, Burberry Prorsum, Rebecca Minkoff, and LOTTE & LILY. Are you a fan of neon color Chartreuse?